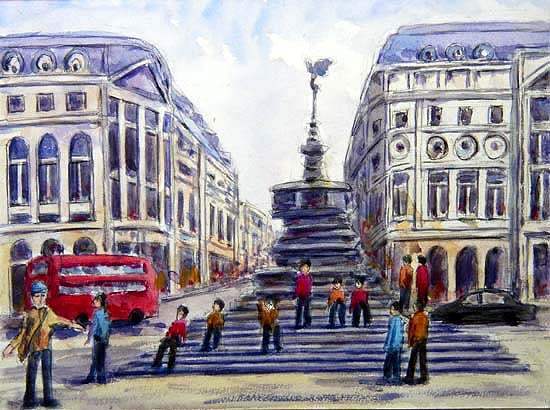 Piccadilly Circus….Located at the junction of five major streets, the busiest traffic circle in London. People crowd around the steps of the statue known as Eros, the Roman God of Love. They meet here each other before heading off to eat, shop, or go to theatres.